WILLEMSTAD – Due to a technical problem with an installation of the Curacao Utilities Company (CUC), several neighborhoods were without power yesterday afternoon. This was reported by the utility company Aqualectra. Around 14:25 pm the power went off. The fault was repaired between 15:00 and 16:00. 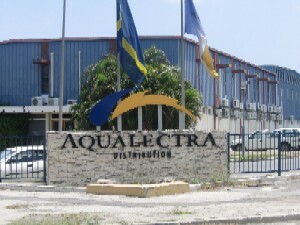 The interference caused such a critical situation in which Aqualectra had to provide electricity to CUC to prevent a power outage at the refinery. The neighborhoods included Cas Cora, Semikok, Santa Rosa, Mahaai, Seritu, Girouette, Anasa, De Savaan, Piscadera, Jandoret, Boka Sami, Buena Vista, Santa Maria, Seru Fortuna, Groot Kwartier, Amerikanenkamp, Waterloo, Schelpwijk, Suffisant , Muizenberg, Seru Domi, Mundu Nobo, Otrobanda, Bonam, Zapateer, Salina, Dominguitu to Janthiel, Vredenberg and Zeelandia.